By blending a unique mix of jazz, R&B, classical and Latin music, Andrew Neu is one of the most exciting, multi-genre musicians today. 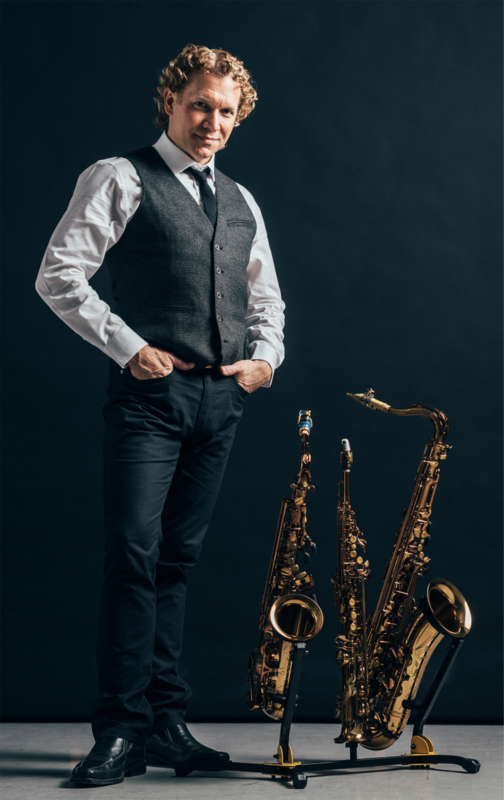 He is well respected throughout the industry for his work as a saxophonist, woodwind player, arranger, composer, educator and recording artist. Regularly touring the world with Bobby Caldwell, Diane Schuur and Smokey Robinson, Neu has shared the stage with Elton John, Patti Labelle, Mellissa Manchester, Mel Torme, Joey DeFrancesco, The Philadelphia Orchestra, The Philly Pops, The Four Tops, and The Temptations among others. He has recorded with Sister Sledge, Manhattan Transfer, David Sanborn, Gerald Veasley, Jeff Lorber, Brian Bromberg, Rick Braun, Brian Culbertson, Chuck Loeb, Paul Brown and Buddy DeFranco. He was a featured soloist on Peter White’s number 1 song and record, ‘Here We Go’ on Billboard in 2012. Andrew began conducting the jazz ensemble at Swarthmore College in 2014. In high demand as a clinician, he has led clinics in high schools, colleges and jazz camps throughout California, Pennsylvania, Maryland, Delaware, New Jersey and Japan. He’s conducted the jazz program at Lower Merion High School since 1999 leading the band on four tours of Italy. Andrew is a graduate of Temple University’s Esther Boyer College of Music with additional studies at University of the Arts. His big band charts are published by Kendor Music and Marina Music.